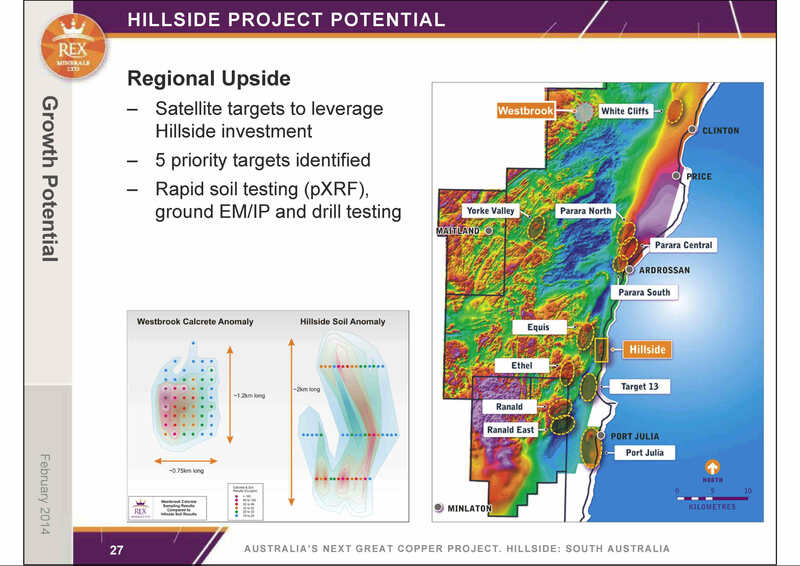 Rex Minerals proposed Hillside development will be a large open-cut copper/gold/iron mine , located on eastern Yorke Peninsula near Pine Point adjacent to St Vincent’s Gulf. Four popular holiday resorts – Black Point, Pine Point, Rogues Point and James Well – are located either immediately next to, or within 2 to 5 kms of the proposed mine. These settlements contain approximately 600 houses. Ardrossan, with a population of 1,100 people is 12 kms away. Adelaide is just across the Gulf from the mine. 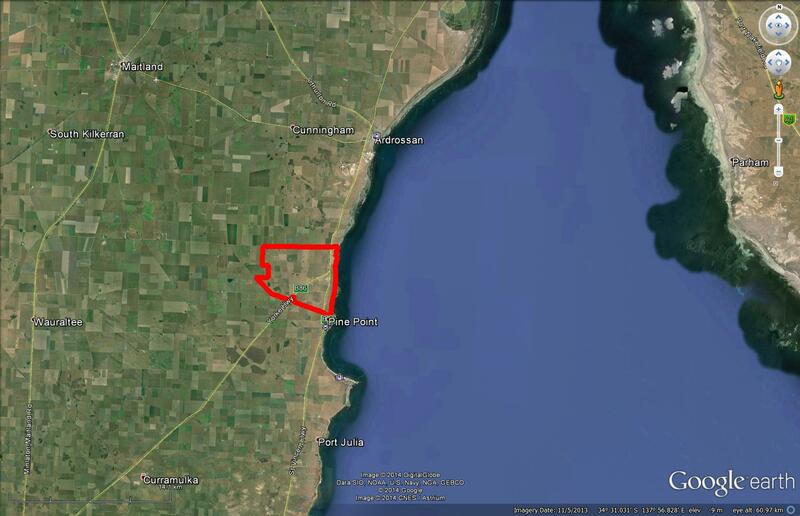 Will Hillside be first of many open cut copper mines on Yorke Peninsula? Rex Minerals consider that “there could be many other similar or possibly larger deposits [on the Peninsula] that remain hidden beneath a thin layer of cover rocks” (Rex Minerals Annual Report June 2012: 11). Rex’s on-going regional exploration program has already identified a further twelve rich areas of copper mineralization, extending from Port Julia in the south to Ardrossan in the north. All constitute potential key targets for future mining activities. 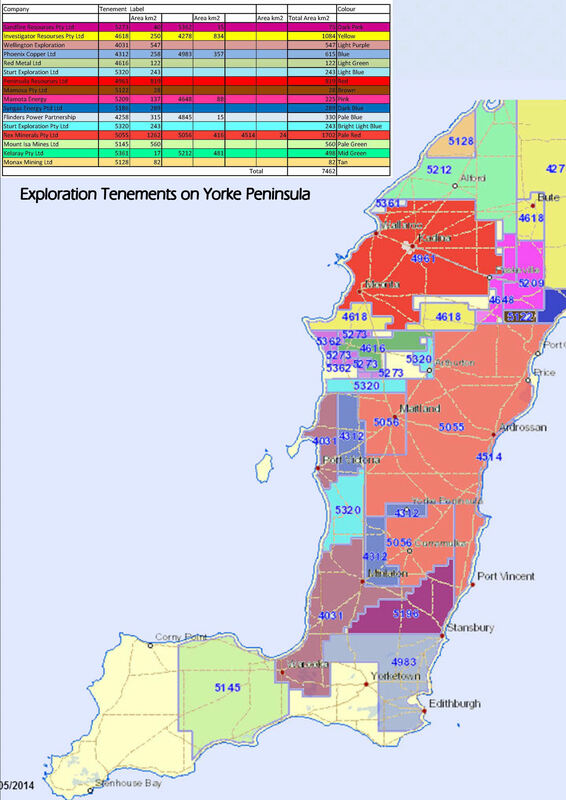 Another eight exploration companies have taken out tenements in the vicinities of the Copper Coast, Paskerville, Alford, Port Broughton, Port Victoria, Bute, Melton, Maitland, Minlaton and Clinton (Yorke Peninsula Country Times: April 11, 2012; 12)..